3 Bedroom Executive Pool Villa near Banyan Golf. Lovely town home for rent pretty close to central. 2 bed 2 bath condo with sea view. 3 bed villa to rent in north Hua Hin. 1 Bed Condo For Rent.. Luxury pool villa on Hua Hin’s most desirable development!. Blue Mountain 2 bedrooms condo for rent. Big house for rent at Orchid Palms Homes 2. Panorama 2 bed villa for rent. This beautiful pool villa is for rent in very popular location!. Beautiful condo for rent with sea and golf view. Great value rentals near the center of town, studio and 2 bedrooms!. Beautiful brand new cottage for rent!. Beautiful unit for rent at The Breeze. Nice Breeze 3 Bedroom House For Rent,. Cozy House for Rent in La Valee Vintage. Studio for rent in Baan Peang Ploen. Beautifull holiday or permanent rental available near Pranburi beach ( Khao Khalok) Hana Village 1. Very comfortable and affordable studio for rent in great location. 3 Bed 4 Bath Pool Villa For Rent. 3 Bedroom Pool Villa close to the beach. Rates from 39,500 THB per month. 1 Bed 1 Bath Condo For Rent. Fantastic 3 bedroom condo next to the beach in center of town!. Hello, Please contact me, I am interested in properties for Rent in Prachuap Khiri Khan. Best Regards. Thailand Property is an online property portal where thousands of property searches happen every day. Start your search today for affordable property for rent in Prachuap Khiri Khan from 1,793 available listings. Condominiums, houses, townhouses, villas, and luxury properties are available for rent in Prachuap Khiri Khan. 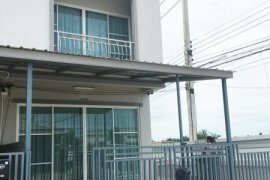 Prachuap Khiri Khan’s properties for rent are either listed by private home owners or property agents such as Supreme Real Estate Co., Ltd, Accom Asia Co.,Ltd and RE/MAX CondoDee. The average asking price for property rentals in Prachuap Khiri Khan is ฿ 80,289 for houses and ฿ 53,826 for condos. Refine your search to help you find the perfect Prachuap Khiri Khan property by price and number of bedrooms.